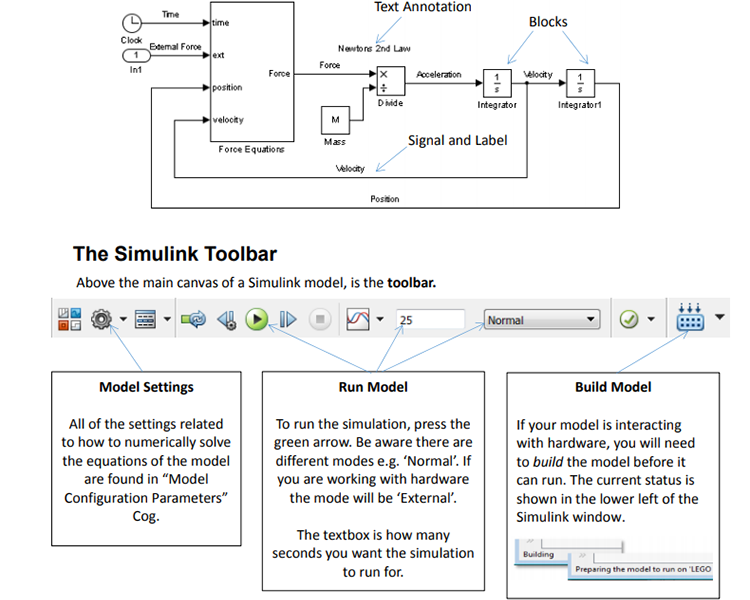 Simulink, an add-on product to MATLAB, provides an interactive, graphical environment for modeling, simulating, and analyzing of dynamic systems. It enables rapid construction of virtual prototypes to explore design concepts at any level of detail with minimal effort. For modeling, Simulink provides a graphical user interface (GUI) for building models as block diagrams. It includes a comprehensive library of predefined blocks to be used to construct graphical models of systems using drag-and-drop mouse operations. The user is able to produce an “up-and-running” model that would otherwise require hours to build in the laboratory environment. It supports linear and nonlinear systems, modeled in continuous-time, sampled time, or hybrid of the two. Since students learn efficiently with frequent feedback, the interactive nature of Simulink encourages you to try things out, you can change parameters “on the fly” and immediately see what happens, for “what if” exploration. Lastly, and not the least, Simulink is integrated with MATLAB and data can be easily shared between the programs.  Blocks are mathematical functions, they can have varying numbers of inputs and outputs.  Signals are lines connecting blocks, transferring values between them. Signals are different data types, for example numbers, vectors or matrices. Signals can be labelled.  Annotations of text or images can be added to the model, and while not used in the calculations they can make it easier for others to understand design decisions in the model.